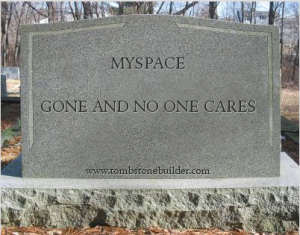 I could post some graphic suggestions for Facebook, but I have decided to keep my comments PG. I have not downloaded the app and not sure I will. Anyone who knows me well enough that I want to get a message from knows how to text me. Facebook needs some innovation badly. You are so right, who is coming up with these ideas? At least they got rid of the poke. Sadly, the poke is still there on the desktop version. 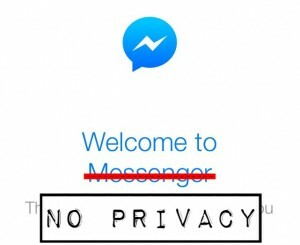 As for Messenger, it’s going to be a case of if you don’t download it, you will no longer be able to access your private messages on your smartphone. Anything BUT smart, right? I have NOT downloaded the new app on my phone and I don’t intend to. I’m not really sure what this means for Facebook or its users, but it’s been my observation that every new innovation Facebook makes to its platform results in a headache for their users… for what seems like a completely unnecessary “fix”. Like you, Brian, I relegate my text message time to text messages and my Facebook time (relatively little at this point) to Facebook… I don’t want them blended. Exactly! Who needs MORE texts? And like I mentioned in my reply to Marilyn above, soon it’s going to be a case of if you don’t download the Messenger app, you will no longer be able to access your private messages on your smartphone. Ugh. Ehhhhh I still use Facebook only on my laptop. What’s an app? I KNOW you have a smartphone though, right? I’m 100% with you, Brian. 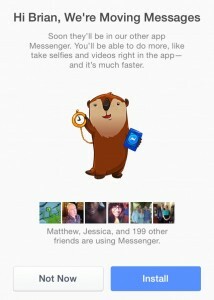 This makes no sense to un-integrate Facebook private messages from Facebook. Lately I’ve been seeing posts more often where I’m asked to PM my response. I wonder if those users asking for PMs have downloaded the extra app. Anyway, this is sign I might be using Facebook less, not more. It certainly is frustrating! And again, this is coming from someone who loves change. If I didn’t work in social media and know that Facebook isn’t dead yet (HEAVY emphasis on the word “yet”), I would be inclined to make my personal profile inactive. Great post. I’m out on Messenger. Also out on Facebook. I’ll take my social elsewhere.